Maverick X3 Side-By-Side Racers Win Long Course Overall, Pro Turbo Class and Sweep Pro Unlimited UTV Class Podium In Laughlin, Nevada. Can-Am Maverick X3 Turbo side-by-side vehicle racer Phil Blurton won the 2017 UTV World Championship Safecraft long course overall and UTV Pro Turbo class this weekend in Laughlin, Nevada. Can-Am Maverick X3 side-by-side vehicle pilots had a great showing at the annual event, which is sanctioned by the Best In The Desert (BITD) racing association, winning two classes, including a podium sweep in the Pro UTV Unlimited ranks. Phil Blurton (No Limit / Can-Am) completed 10 laps in a time of 03:29:24.709 to win both the UTV overall and Pro Turbo class long course victories in his nearly stock No. 944 Can-Am Maverick X3 Turbo R side-by-side vehicle. Blurton and co-pilot Beau Judge led the way in the No. 944 No Limits SxS-backed Maverick X3 Turbo side-by-side vehicle, recording an impressive overall victory after starting from row three. 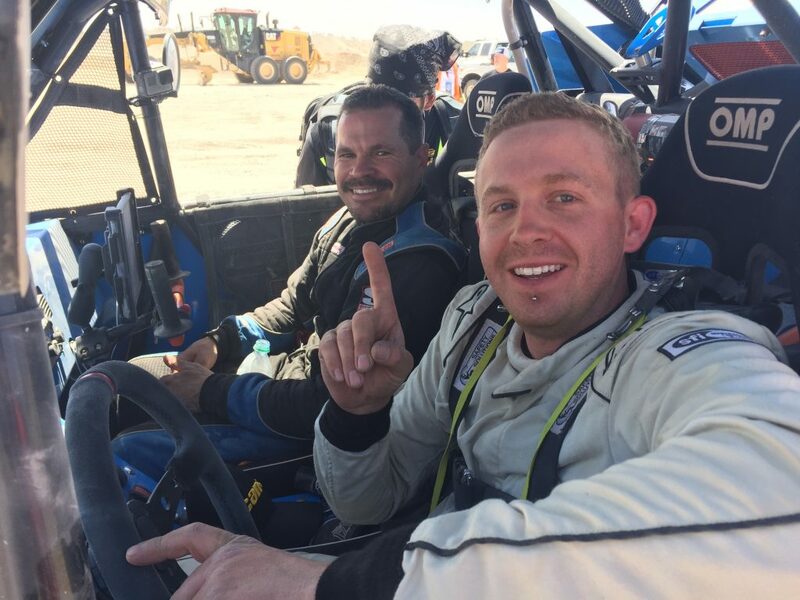 Competing against more than 100 others in the desert race (long course) event, the California driver raced a Can-Am Maverick X3 vehicle with stock engine and a stock suspension. He finished the course in 10 laps with a time of 03:29:24.709, to take the overall and UTV Pro Turbo class win by more than 20 seconds over second place. Can-Am factory pilot Dan Fisher drove his modified No. 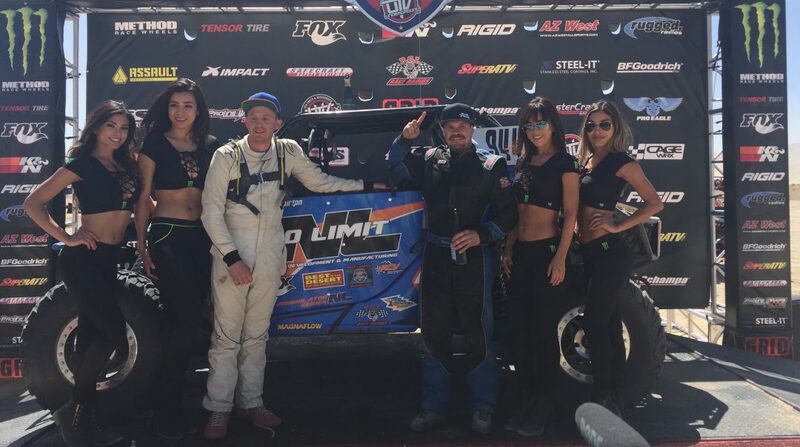 910 Lonestar Racing / Can-Am Maverick X3 side-by-side to a strong fourth-place finish in the UTV Pro Turbo ranks and fifth overall, completing all 10 laps in 03:36:51.120, giving Can-Am three of the top five overall finishers in long course action. Michael Isom and co-pilot Zack Cooper won the Pro Unlimited UTV class and took fourth overall on the day in the No. 2939 Mobbin Racing / Maverick X3 vehicle, which featured a Lonestar Racing suspension. Two additional Can-Am Maverick X3 racers also earned podium finishes in the Pro Unlimited UTV class. Texan Robert Villarreal, in the No. 2915 Lonestar Racing-backed Can-Am Maverick X3 vehicle, took the runner-up spot in the Pro Unlimited UTV class and took the 10th in overall standings. Gabriel Varela earned third place in the Pro Unlimited UTV class with the No. 2949 Lonestar Racing / Maverick X3 Turbo side-by-side vehicle. Can-Am racers ended the UTVWC long course race with five of the top 20 overall finishes.